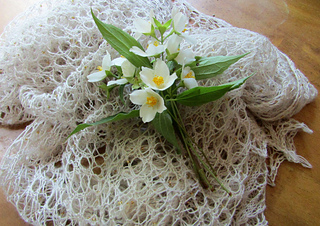 In late spring through early summer my patio is lightly fragranced by the mock orange plants that grow in my garden. 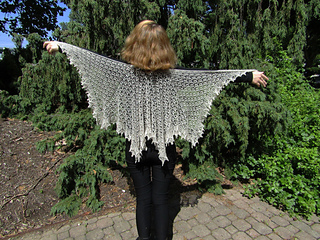 Their small white flowers, have been used as the background for several of my patterns, so it was about time I gave them one of their own! 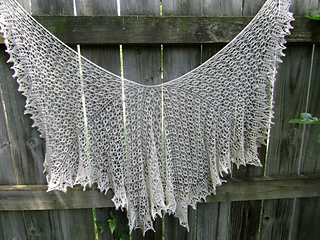 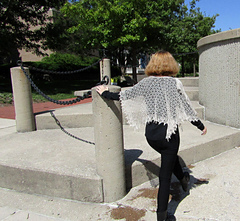 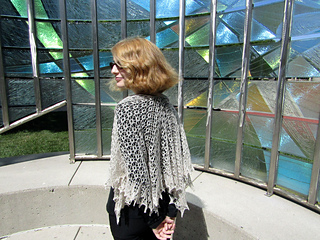 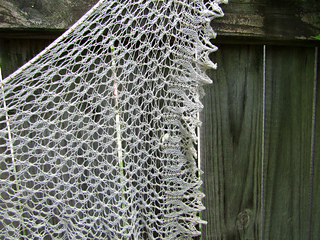 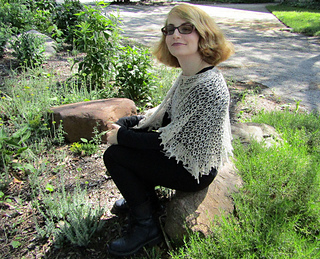 This top down “super square” shawl (it’s a square plus one additional side, so it’s 5 sides instead of the traditional 4) starts from a provisionally cast on garter tab, followed immediately with an all over light, airy lace and bead pattern to a base of leaves that surround the outer edge.